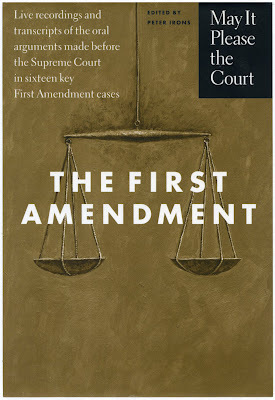 A jacket for May It Please the Court: The First Amendment: Live Recordings and Transcripts of the Oral Arguments Made Before the Supreme Court in Sixteen Key First Amendment Cases. This box set was published by The New Press in 1997. 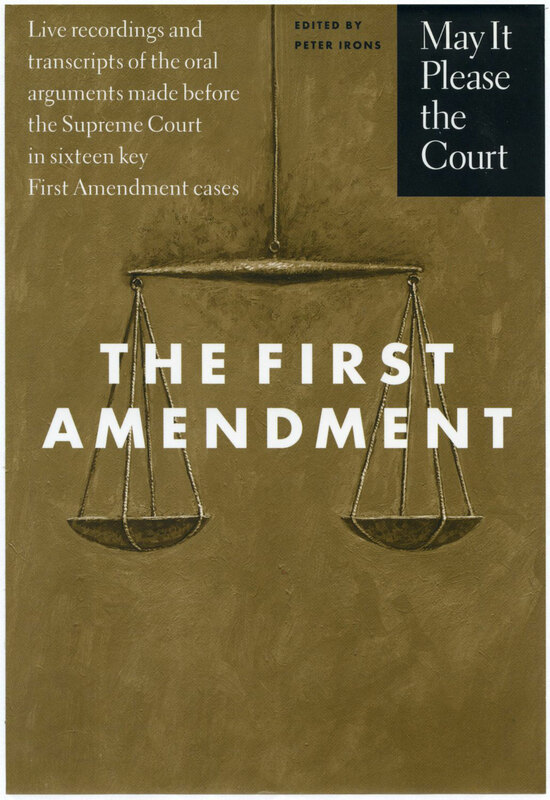 As I recall, Charles Nix, who had designed the first volume - May It Please the Court: The Most Significant Oral Arguments Made Before the Supreme Court Since 1955 - used the only known photo of the court in session, so we had to come up with an apt image ourselves. 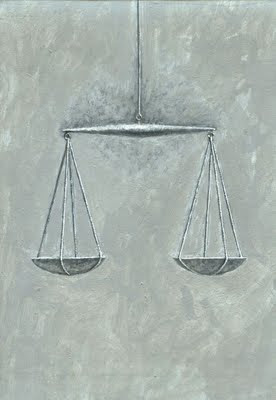 My resultant painting of the scales of justice, below, was not a particularly novel idea. 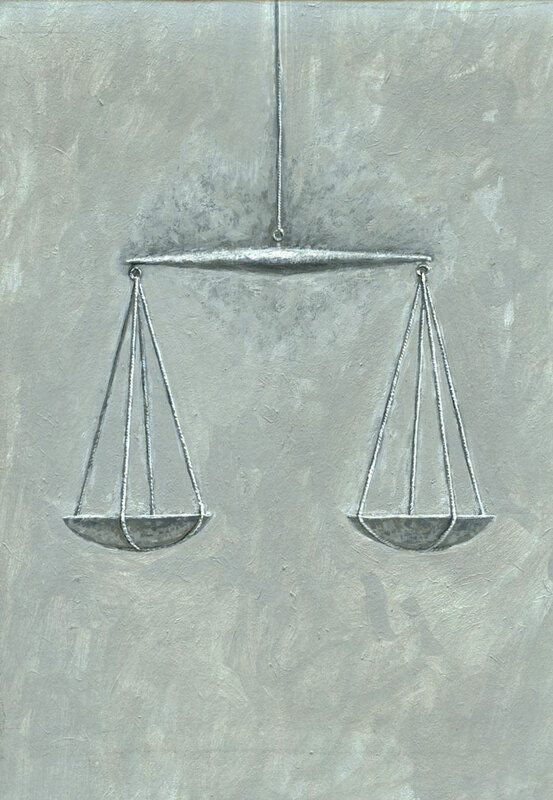 It came at a time when I was tentatively trying to emulate the wonderful still-lifes of Walter Murch, but I could have/should have been more painterly about it.